Ok, so I’ll admit I took the quiz and my results were not quite what I expected – but they DID spark a fun story idea for me… It might end up being a novella or a full novel but the idea of searching for Jamie is intriguing – especially if you discover that he’s not the Highlander for you. In all honesty I tried taking the quiz several times with very different results… Perhaps it’s randomly generated – that’d be a good plot bunny! 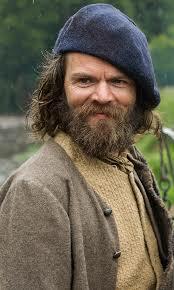 Anyway – my first result was Angus played by Stephen Walters and to say I was a tad disappointment is slightly understated. My husband of 24+ years thought it was hilarious… of course he also calls Outlander my ScottishPorn. He also plans to take me to Scotland next summer. Jealous? Yeah, his name isn’t Jamie but I definitely hit the romantic jackpot in my real life! 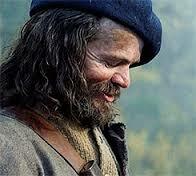 Admittedly, Angus has a verra’ nice smile.